I was really delighted to be asked to sew a couple of small projects for quilt market using Eclectic Elements by Tim Holtz for Coats. Since joining the Sizzix Design Team, I have really fallen for Tim’s style. I am always drawn to his dies. So, I was pretty excited when I learned that he was coming out with a fabric line. Eclectic Elements debuted last quilt market but it’s back again this time! I made this bag using my Ruched Happy Bag pattern. They wanted to be able to hang it in the display so I added a wristlet strap. 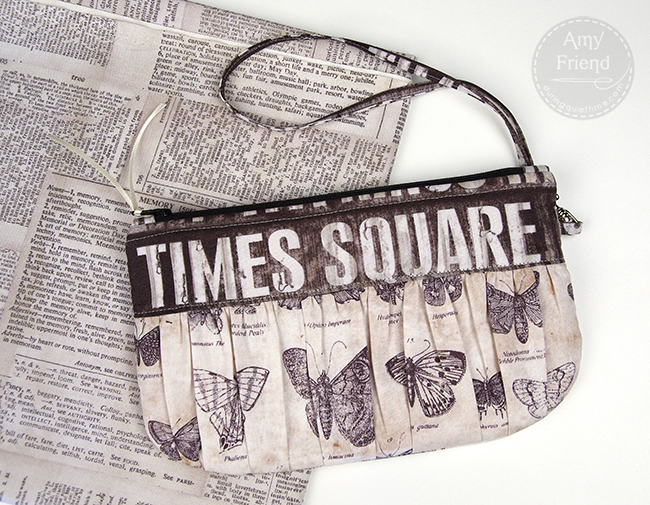 I love the way I was able to fussy cut “Times Square” to fit just right! Inside I used a red stripe print from the collection for a little pizzazz. When thinking about how Tim’s fabric would work in traditional patchwork, the Courthouse Steps block came to mind immediately. 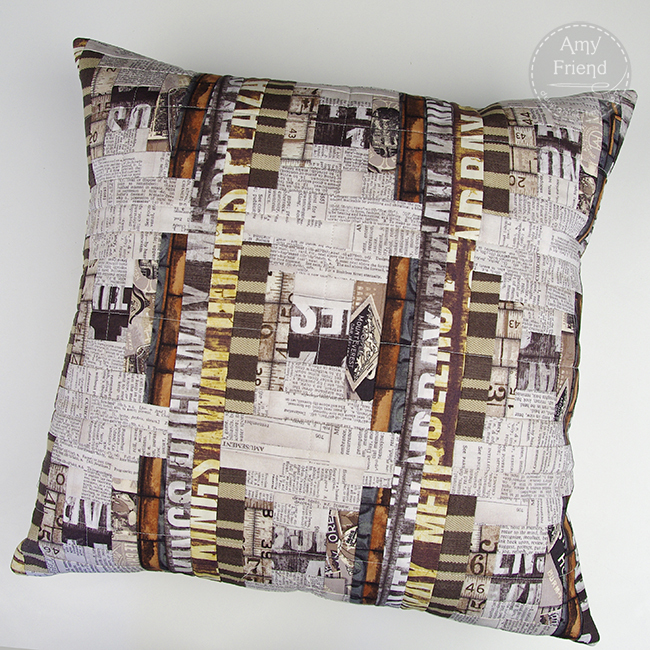 This pillow cover uses some teeny tiny piecing but I love the effect. I’ve been able to find some of the Eclectic Elements line at my local JoAnn and the Fat Quarter Shop has it all in stock. I love the texty prints–big surprise right?